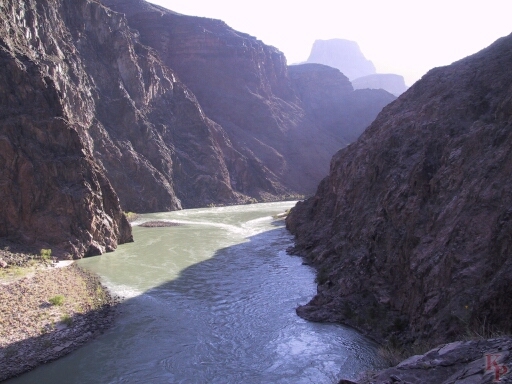 Bright Angel Trail, Top. 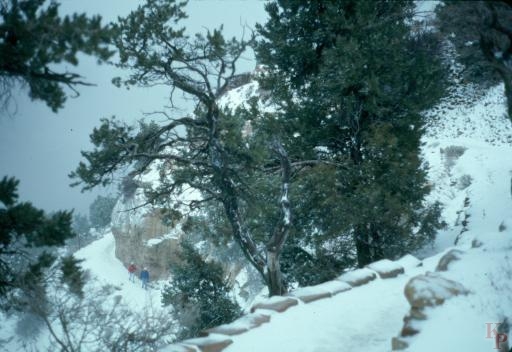 The North Kaibab Trail goes down Bright Angel Creek. Bright Angel Trial does not go down Bright Angel Creek. The trail starts at the west end of the village, across from the shuttle transfer stop for the Hermits Rest route. Rock Strata Boundary, Coconino and Shale. 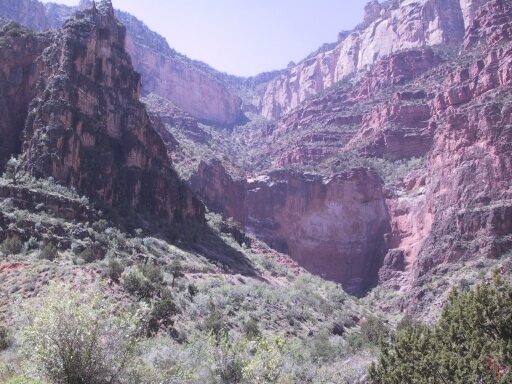 Any trip down into the canyon is a geology lesson. Going up the name is obvious. The Wall. But you just rested at Indian Gardens and can seen the top. Going down you have just started. 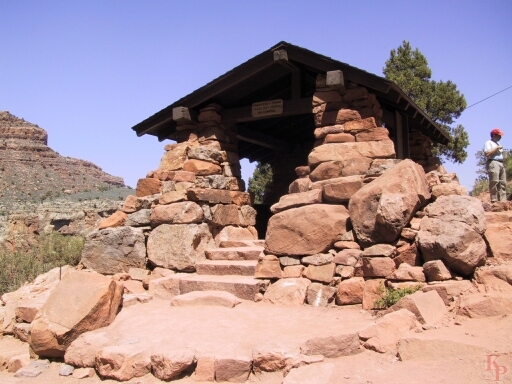 The 3 Mile Resthouse provides a place to stop and rest. 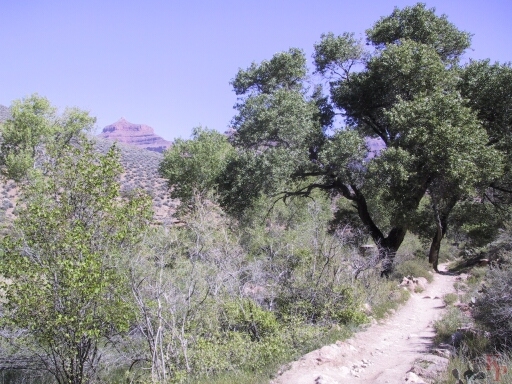 Bright Angel Trail has shade, a stream, actual trees, and shade. 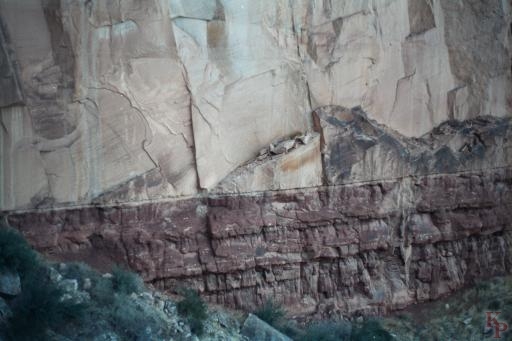 It is longer than South Kaibab so is not the standard route down. Going up there is water at several stops. Also many more people. A lot of the red silt is trapped behind Glen Canyon Dam so that today it should be the Verde River, not the Colorado River. After major rains in eastern Arizona, the river does return to its natural red color.